I am fascinated by the what-ifs of baseball. What if Mickey Mantle hadnÃ¢â‚¬â„¢t destroyed his knee in the 1951 World Series? What if the Braves hadnÃ¢â‚¬â„¢t passed on Willie Mays and, instead, put him in their OF with Hank Aaron? What if Joe Hardy hadnÃ¢â‚¬â„¢t sold his soul to help the hapless Senators beat the Yankees? What if I had references that werenÃ¢â‚¬â„¢t all from the 1950s? * In 1994 the Reds chose HS LHP CJ Nitkowski with the 9th overall pick. Nomar Garciaparra, Paul Konerko, and Jason Varitek were chosen with picks 14, 15, and 16 respectively. * In 1997 the Reds chose Brandon Larson with the 14th overall pick. Two picks later the Astros grabbed Lance Berkman. 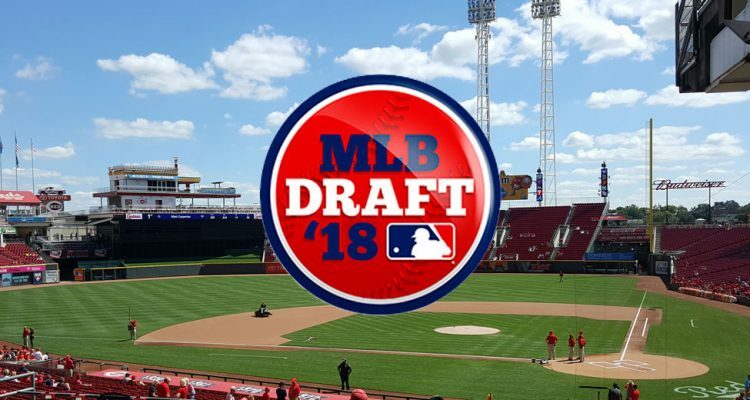 * In 2002 the Reds chose Chris Gruler with the 3rd overall pick leaving Zach Greinke (5th pick), Prince Fielder (6th), Cole Hamels (17), Denard Span (20), and many more on the table. * In 2006 the Reds chose Drew Stubbs with the 8th overall pick. The 10th and 11th picks from that draft (Tim Lincecum and Max Scherzer) have combined to win 219 games in the bigs. * In 2010 the Reds chose Yasmani Grandal with the 12th overall pick. The White Sox went next and chose Chris Sale. You could do the same exercise with every team in baseball. You win some; you lose some, right? And whoÃ¢â‚¬â„¢s to say how things would have turned out if the Reds (or any other team) chose differently? Even if the Reds had a second chance in 2002 it doesnÃ¢â‚¬â„¢t mean they would have picked Cole Hamels? Or maybe they would have picked Cole Hamels and he would have blown out his shoulder like Chris Gruler did. Or choosing Lance Berkman in 1997 would have destined the Big Puma to a AAAA player tag while Brandon Larson would go on to have a borderline Hall of Fame career in the Lone Star State. So much of baseball Ã¢â‚¬â€œ like life Ã¢â‚¬â€œ is being in the right place at the right time. After all, the Reds might have blown it with their first pick in 2002, but they chose a no-name catcher from Canada in the 2nd round that turned out pretty darn good. Every other team in baseball could have picked Joey Ã¢â‚¬â€œ some had more than one opportunity Ã¢â‚¬â€œ but he ended up wearing #19 for our Reds. The Reds drafted Axford after his senior year at Notre Dame and then said, Ã¢â‚¬Å“Meh.Ã¢â‚¬Â ThatÃ¢â‚¬â„¢s it. They just kind of decided that they didnÃ¢â‚¬â„¢t want him after all. Axford transferred to Canisius for his final year of college eligibility (he missed a season with Tommy John surgery) and went undrafted in 2006. After a summer spent playing in independent ball, the Yankees gave him a shot. He pitched in A ball in 2007 and was promptly released. The Brewers took a flyer on him and Axford rewarded the Crew by being absolutely terrible in 2008. But the Brewers stuck with him and he rocketed up the system in 2009, eventually getting the call to the bigs in September. He had back-to-back outstanding seasons in 2010 and 2011 before declining a bit in 2012. Since then heÃ¢â‚¬â„¢s bounced around, playing for four different teams between 2013 and 2015. HeÃ¢â‚¬â„¢s making $5 million with the AÃ¢â‚¬â„¢s this year which, and I think I have this right, is more than our current bullpen makes collectively. Ouch. It might be a bit early to put the local boy this high, but his early results as a pro are really promising. Benintendi was named the Ohio High School Player of the Year in 2013 after a standout season at Medeira High School. He chose to attend the University of Arkansas instead and after a decent freshman season, Benintendi dominated the SEC in 2015 and won a slew of offseason awards. The Red Sox snagged him with the 7th pick in the 2015 draft Ã¢â‚¬â€œ making him only the second Benintendi to ever play professional ball. (Robert Benintendi played for the Big Stone Gap Rebels in the Mountain States League from 1949-1950 and then again in 1953, but you already knew that.) Benintendi is widely considered a top 20 prospect in all of baseball. It was well known that Nelson intended to honor his commitment to the University of Alabama after a standout high school career in Florida. That commitment made him drop in the draft (he was widely considered a top 150 talent) and the Reds took a flyer on him with the 1178th overall pick. Nelson struggled a bit at Alabama but the Brewers took him in the second round in 2010 and he thrived in pro baseball, shooting up the prospect rankings, before getting a call to the majors in 2013. HeÃ¢â‚¬â„¢s had a solid start to his MLB career so far in Milwaukee. Oh, and he is also a world-renowned photographer of indigenous peoples. Supposedly it is a different Jimmy Nelson Ã¢â‚¬â€œ a British Jimmy Nelson – but I choose to believe itÃ¢â‚¬â„¢s the same one. ItÃ¢â‚¬â„¢s more fun to live in a world where Jimmy Nelson spends his off-days traveling to remote jungles and asking people to pose for pictures. The Reds really wanted Markakis but Markakis didnÃ¢â‚¬â„¢t want the Reds. Markakis passed on the Reds offer after his senior year of high school and went to Young Harris College where he was named the Junior College Player of the Year after his freshman season. The Reds drafted him again and, sadly, Markakis rejected their offer again. After another standout year at Young Harris (where he was again named JuCo Player of the Year) Markakis was drafted 7th overall in the 2003 draft by the Orioles. It makes me a little sad to think about what could have been. Having Markakis in LF (with his .359 career OBP) during our 2010-2013 run could have given the Reds the extra nudge they needed to win at least one stupid playoff round. It also would have saved me thousands of dollars in therapy bills. See? I told you it was a doozy. The Reds drafted Arrieta after his senior year at East Plano (TX) High School where he had a 1.30 ERA but Arrieta opted for junior college instead. Why? Because life isnÃ¢â‚¬â„¢t fair, thatÃ¢â‚¬â„¢s why. After one year at JuCoÃ‚Â Arietta transferred to TCU (where he was a teammate of St. LouisÃ¢â‚¬â„¢ Matt Carpenter) and was drafted by the Orioles two years later in the 5th round of the 2007 draft. The Orioles eventually traded him to the Cubs for pennies on the dollar and, well, you know the rest. What’s gotten into Brandon Dixon? “Jake and the Skinny Man.” That one made me laugh. What a backwards way of thinking. Yep. I’m sure those walks had absolutely no value. I’m sure they’d have traded those 66 walks for 3 homers, a double, a 4 singles! It’s like we’re living in the stone ages. That’s not how I read the Mercer coaches’ statement at all. They are just saying that his hitting numbers are even more impressive if you look at them over a 45 game span versus 60. 20 homers in 45 games is pretty nice. That is why most people look at “advanced stats” like isolated power or HR/AB. What the coaches don’t say is that he is playing mostly against non-competitive pitchers in his weak league. Phil Ervin comes to mind. Also, it’s like saying “if pitchers did nothing but throw him strikes, his numbers would have been better.” Yes, that’s true of every single player in history. Walks are a byproduct of a hitter not swinging at junk pitches that he’ll either swing and miss on, or make weak contact on. It’s the sign of a mature hitter. His coaches, unfortunately, seem to think walks are a bad thing. They are actually saying that because he took so many walks, he (specifically his power) is even better than advertised. I don’t think the Mercer coaches comments came across like that. I agree with Exile. Since he was pitched around some, the production in the equivalent of 45 games is impressive. Here is an article CTrent did on Lewis last week. If the Reds pass on Lewis, it won’t be long until he takes over the #2 spot on this list. He is solid on and off the field. Very grounded. 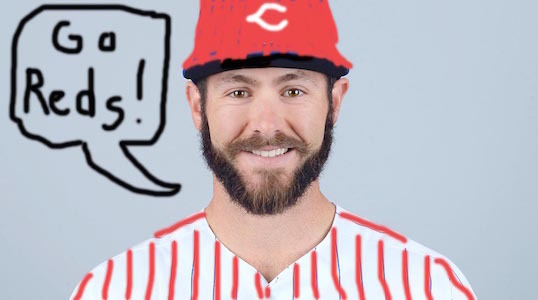 I knew some of the draft signings but did not know about the reds drafting Arrieta! I also remember that the reds missed on signing Barry Larkin in the second round of 1982, oh what could have been! BTW the Reds actually passed on Votto twice! They had a supplemental pick that year. If you save enough money early in the draft, you might be able to offer a fairly late pick (I’m not really talking about 30th round or later, but definitely mid teens or early 20s) a larger bonus to get them to sign. He didn’t actually decline it. He was going to accept it (he has even said as much), but MLB ruled that he was draft eligible instead of an international free agent. We Reds fans have been very lucky this year. Not in the Reds W/L column. But in general, as baseball fans. The fact that the Reds play in the NL Central, to go along with their yearly interleague series with Cleveland, and being paired up with the AL West in interleague games, means we have gotten, or will get, a first hand look and some of the great young talent in MLB today. We get to see alot of the NLC. We started off with Philly, Aaron Nola and some of Philly’s good young players. We got to witness 2 series of the Rockies SS Trevor Story. We get 2 series with the Mets young starters. The Cleveland series we got to witness SS Francisco Lindor. We had 1 series against the Dodgers and SS Corey Seager. We got to see the Nats Bryce Harper and this season’s debut of SS Trea Turner. After this STL series, Oakland comes to town. In a week and a half we get to see the Reds vs. Houston and their SS Carlos Correa, George Springer and their young roster. Then it is Texas and the punch happy 2B Rougned Odor, SS Jurickson Profar and OF Nomar Mazara. And some we’ll get to see again in the second half of the season. It’s a good time to be a baseball fan. Lots of young talent for sure. There’s a rumor that Philly is trying to float Blake Rutherford to their second pick with a $4-$4.5 million asking price. Our second pick is before their second pick. Ruin their plans and offer him the $$$ to get him after another bat like Senzel or Lewis? This guy needs to write more for this site. He is an awesome writer. What if the Reds had not passed on Babe Ruth? Reds still ended up with Konerko. They had both he and Casey though and decided to move Konerko for Mike Cameron (not sure if Casey was offered and the Sox wanted Konerko or how that all worked out). Cameron turned out to be a pretty good MLB CF and the Reds moved him after the 1999 season for Griffey.